Does your email list contain true buyers? Are you worried about email bounce rates? Discover the most robust and accurate email validation technology on the market today. With EmailCheck, you not only validate your email addresses for deliverability, but you also discover whether it was used for a successful purchase in the past. Sending marketing emails to real buyers delivers immediate revenue and ROI. EmailCheck identifies email addresses that have been used for purchases, and past purchasers are more likely to buy in the future. In addition, keeping low bounce rates is a common challenge for all email marketers. Some email marketing platforms are very strict on maintaining a low bounce rate and are known to suspend and delete accounts with a high bounce rate. 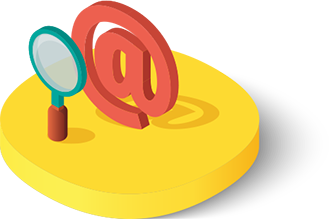 EmailCheck validates email addresses, ensuring very low bounce rates. Checking whether the email address exists in VirtualData’s database. Referencing whether the email address was approved for purchase. Delivering the first and last names that were used in a past purchase. Confirming delivery of your email to the person’s inbox rather than a spam folder. John Doe is confirmed as a past online buyer, more likely to buy from us. This rigorous set of checks guarantees real buyers, high deliverability and low bounce rates that will keep your list clean and boost your email marketing ROI. Contact us for a free trial now!